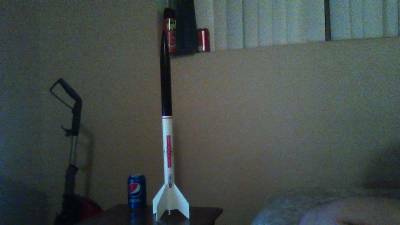 A very nice, sturdy, solid, and pretty looking rocket. This kit is based off of the Centuri Centurion. Its skill level is 1, but it was a challenging build for me regardless. It was the first one that I had to sand, cut, and do specific detailing like fillets and proper fin alignment. 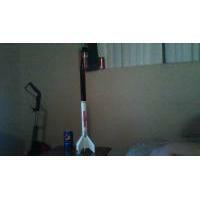 This kit was made for performance since the components featured in it are a lot more sturdy and solid than the standard Estes rocket kit. This kit also features through-the-wall fin construction. A very thick and very long rubber shock chord, longer than the rocket itself. This kit is outstanding, the instructions were very straight forward and easy to follow. Not too much sanding and cutting of parts was required. Finishing the kit was the most challenging part to do since this is a sport kit and is made to look nice. Mine has not flown yet. To sum it all up, this is an outstanding kit and I would recommend it to any hobbyist looking to expand their fleet. The first issue I had with building this kit was that I had forgotten to prime the nose cone since it is balsa wood. So the paint turned out a bit flatter and sloppier on the nosecone. It is a bit more on the challenging side for a skill level 1 since the parts are a little higher in quality than most standard kits. My second issue was that I had assembled the engine mount before aligning the fins to it, so I had to force the fins in a bit. I probably broke the balsa on the ends of the fins, but I still was able to get them glued in.